As part of the white paper I wrote on the aerial urban mobility market I had the chance to review over 60 concepts. Most of which rely on lift rotors, or vectored thrust, for some of their flight envelope. In the white paper I touch on some of the problems with this approach but there are specifics that are useful to examine. I am not a flight dynamics expert (as the following may confirm) but a few things do appear to be readily apparent. what if each rotor is fed by a totally independent shielded bank of batteries, can you argue that total power loss is practically impossible? Does that mean if you have 8 rotors you need 8 independent charging points? Does each power system has to be isolated inside an independant faraday cage type protection to mitigate lightning strike? This is giving me a headache, why don’t I just go buy a Robinson R44 helicopter? For the amount of money I would have to invest in developing a new vehicle of this type I could buy the Robinson helicopter company……. So, do I have this all wrong? 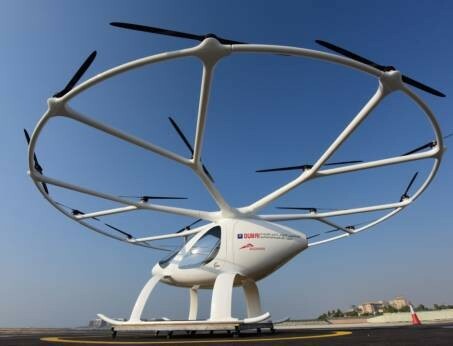 Will multirotor vehicle concepts prove to be simple to certify and will they dominate the market? As I briefly touch on in the white paper, any aerial urban mobility vehicle that makes it to market has to compete with the only existing aerial urban mobility vehicle – the helicopter. Any successful concept would have to be safer/quieter/cheaper/faster/longer range than a helicopter. How many are? I think you forget to mention a Robinson didn’t fell from the sky out of a sudden. Behind the Helicopter technology, where it stands today, are decades of development and investment with all sort of set backs and fails.